Other books I recommend - Dave's TV Service and Repair. 938 SW 6th Grants Pass Oregon. (541) 479-3915 "TV repair books"
You can click on most of these books to sample their contents, but before you purchase one please scroll down and read my summary of their contents. If you know nothing at all about electronics, and want to better understand electronics theory in a simple language, Getting Started in Electronics by Forest Mimm's is a great book for a beginner. You can purchase it online by clicking on the book, but it's also available at most radio shack outlets. 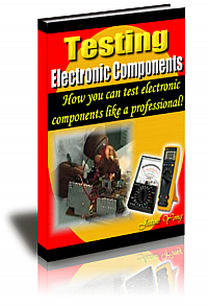 If you are a beginner, and would like to learn how to test electronic components, Jestine Yongs book Testing electronic components is a great one to start with. Knowing how to test components is the ABCs of electronics repair. but don't take my word for it. Click on the book to sample it and read the testimonials from others. Click on book to sample its contents. 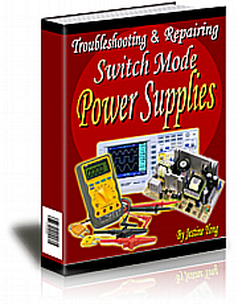 Switch Mode Power supplies are found in all kinds of modern day electronic equipment from TVs to X-ray machines, and repairing them constitutes a large percentage of the repairs I do. This book is my favorite of all of Jestines books, and I highly recommend it to others who are interested in improving their troubleshooting skills. Dave Maltz, owner of Dave's TV Grants Pass Oregon. 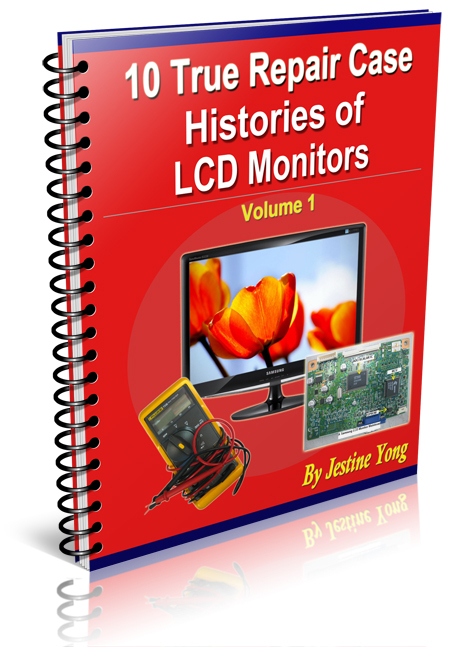 Even though I don't see many computer monitors being brought in my shop, much of what's in this book also applies to LCD TV repair, and I found it helpful in learning how to better troubleshoot LCD TVs . Click on the book if you would like to sample its contents. One of my favorite ways of learning has been to watch other electronic repairmen as they troubleshoot various electronic problems. It's nice to know what parts they replaced, but what's more beneficial is being able to follow their step by step troubleshooting approach. 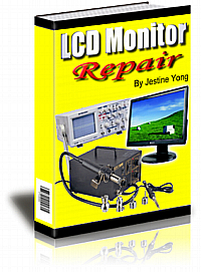 In this book Jestine allows you to follow his thinking process as he figures out what's wrong with 10 different LCD Monitors, and you can't beat it for the price. 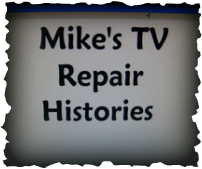 This is a yearly paperback publication which has the combined repair histories submitted by over 65 professional TV repairmen. Were it not for Mikes Tips I doubt my business would have survived as long as it has. The latest edition has over 1132 recorded problems and solutions on LCD, Plasma, DLP, Rear projection and CRT Televisions. Click to read testimonials. 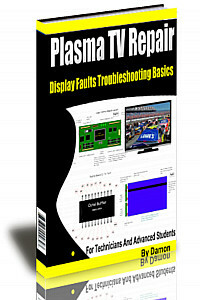 Damon Morrows book on Plasma TV repair is a highly technical manual that goes deeply into the theory and troubleshooting of Plasma TV's. I found some portions of his book were so hard to follow I had to skip over many sections, but I still found there were some helpful sections, and since he offers a 60 day money back guarantee I feel okay about listing it. 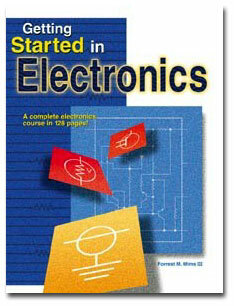 This book contains a large collection of electronic repair articles Jestine Yong has put together in one single book.